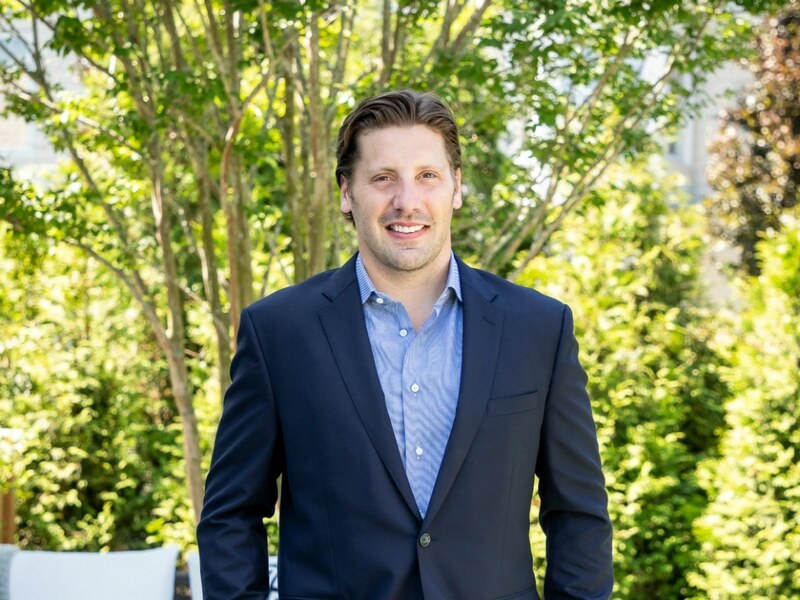 Matt Breitenbach knows Hamptons real estate like the back of his hand. After all, it's in his blood; his mother, Susan Breitenbach, is also a star seller in the East End. But with his latest move to Compass, an innovative brokerage taking the lead in merging the worlds of technology and real estate, we asked Breitenbach how innovation has impacted the East End property game—trends and all. With technology bringing us ever increasingly closer, have you seen an influx of people coming to the East End or buying property here? How have you seen the Hamptons change over the past decade or so? MATT BREITENBACH: The Hamptons have certainly become a global brand. I think the secret's out now, but also because travel has made it an easier destination to get to than you could ever imagine. Apps such as JetSmarter, which make private airplane travel to the Hamptons possible, and Blade, an app that allows you to fly by helicopter from New York City to the Hamptons in 20 minutes, make the potentially long drive out east manageable. In terms of demographics, the Hamptons, once synonymous with old money, has definitely seen an upsurge in new money. A real estate colleague and friend from London mentioned to me that younger and younger crowds have started to express wanting a piece of the East End. They're more diversified than the previous generation and are taking a trendier approach to the Hamptons than I think most have. They're startup owners, entrepreneurs who want to own, flip, and resell as a business venture. They don't just have one or two investments, but maybe five and all at the same time. I have clients who have a primary house in the Hamptons, but are also buying other things out here to flip and invest in. It’s become very popular to invest and buy, own multiple houses, and live an East End lifestyle. Or, if they're not based in the Hamptons, they may have a Malibu beach house and live there, but want to be in the Hamptons for a few months a year. They know it’s a good investment and place to park money. There is a lot of value to renting property in the peak months too. And, I'm sure, plenty of New Yorkers, who have always made up a bulk of Hamptons property buyers, are having that conversation too, no? MB: People are trying to find a way to make it out here. A lot of the long-term buyers are from New York City, who first started moving to Westchester and Greenwich, and then to wealthier areas of Long Island. But the exciting thing is that when they're having the conversation about buying property, the Hamptons is starting to come up more and more. And the selling points include the beauty of the East End, its beaches, farms, ocean. I’ve had so many clients ask me, when they've talked their husband or wife into moving, about where I send my kids to school or how it is to live out east year-round. There is a genuine curiosity about life in the Hamptons that wasn't there before. I had another client, a gentleman in his late 30s, who already had property on the ocean but wanted to get out of New York City. Ultimately, it was between the Hamptons and Aspen. They eventually decided to keep their home in the Hamptons because they loved it but ended up moving to Aspen. But, and perhaps most importantly, the Hamptons was in that conversation. It’s an interesting time. Not only has technology affected accessibility to buying around the world, but it also let to your recent move to Compass. Tell me about what they were doing that attracted you to join their brokerage. MB: No company has ever developed a customer relationship management system quite like Compass, which is able to tie in everything you do as an agent into one space. If my client opens my email or is browsing on compass.com, as an agent, it gives you the opportunity to interact immediately. Their backend infrastructure is unparalleled, and something competitors are openly trying to replicate. The talent level here is amazing too. As you go around, you have designers from Google, graphic and creative people from Pixar and Disney. The newly appointed head of our New York region came from Vogue. All of them are really trying to elevate the industry. Furthermore, as a broker, these individuals want to know what your brand is—and who you really are. They don’t try to mold you to the company brand like most do. They say, “We want to help find your voice. Who you are as a businessperson, an agent. What’s your brand? Let’s build that and make it great.” It’s a complete flip from every other real estate company out there who want you subscribe to their idea of their brand. They’re trying to build and help agents out. That makes the agent more productive and makes the company work a lot more productively. It’s a completely different business model. So they’re investing in people on multiple levels, as both a personality and as a talent, right? MB: And as a business. Robert [Reffkin], co-founder and CEO of Compass, looks at agents as entrepreneurs, as CEOs, and that’s Robert’s thing. You’re the CEO of your own business as a real estate agent. You’re an entrepreneur. You really are! You’re an independent contractor. You’re building your brand and business. I think they pinpoint and highlight it to help you build out a business like anyone builds out a business. They’re only just scratching the surface with everything that they’re doing. We're going to start moving into some of these property markets that a lot of other companies aren’t in. The referral network, as an agent too, is only getting better. They vet everyone extensively before you can join the company. If you have a reputation that you’re cutting people out, aren’t a team player, don’t collaborate, and pump your chest like you’re so great, they don’t care. It’s about finding the right people. They’re really into their culture. They want real estate agents that elevate the brand. What do you guys see for the future? Whether in terms of buying or technology, what is the path for you guys? MB: I think the path forward is to be able to service our clients above and beyond what they’ve come to expect from typical real estate agents—we want to be true real estate advisors. That's what they’re trying to build us for. Furthermore, we want to reach our clients in new, innovative ways. Everyone here at Compass has a ton of unique abilities. They’re thinking about the next breakthrough. The world is changing and that’s why I’m here. I’m thirty-five, thinking long-term. Everyone is seeing the technology changing, and the impact it’s having. To start your home-buying experience with Matt Breitenbach or to find out more about Compass, visit compass.com.